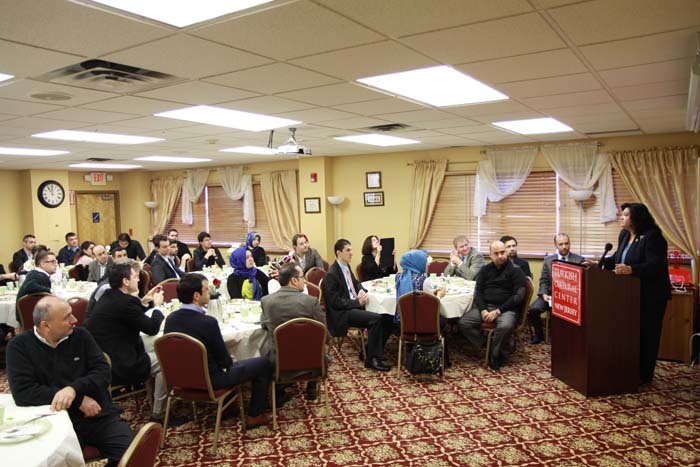 Turkish Cultural Center NJ hosted Assemblywoman Marlene Caride (LD 36) and Bergen County Freeholder David L. Ganz at its weekly Sunday brunch program. The Assemblywoman spoke to Turkish American community members at Ridgefield branch of the Center. Asw. Caride expressed her gratitude of being with the Turkish Americans and, emphasized the importance of corporation between the communities and law makers in establishing a peaceful society.Freeholder Ganz articulated the role of the freeholder and shared County programs for its residence. We, as the TCC NJ are thankful to Assemblywoman Marlene Caride and Freeholder David L. Ganz for their attendance to our program.